It’s taken 12 years to write this. Every time World AIDS Day looms I think about it. I think about it the rest of the time, too. 2005 unleashed the most calamitous experience of my life (and that’s comparing it to falling 40 feet and breaking my back in 2012). I’d never seen a lifeless body before and there he was, Miguel, the one I loved, with a startled expression, mouth ajar, one arm raised as if readying itself to clutch at the last traces of life. I held his unyielding hand to my face and wept, willing him to come back. How can I describe this agonising moment without rendering it cheap, overripe melodrama? In the days that followed, knowing my tears had been cremated with him gave me consolation, albeit cold. I took hot water bottles to bed at night, holding one in my arms and one between my knees. Anything to pretend he was still there. One day, I let myself into his flat, placed photographs around the sitting room, lay on the floor, drank vodka and waited for a visitation. I needed to know that wherever he was, his torment was over. I didn’t care that mine wasn’t. Nothing happened. After a few days, I decided to end it all. I opened my laptop to research painless suicide. But that idea was foiled; the telephone line was disconnected – no internet access. A week later, I was in St. George’s Hospital, babbling incoherently. I hope that if ever I go through a similar experience, I won’t make it all about me. I overlooked the fact that other people loved Miguel. Many of them had known him longer than the five years I’d shared with him. I didn’t know that the death of a loved one was not necessarily a cue to have a nervous breakdown and I didn’t realise how self-centred my behaviour was. Emotionally, I was a sixteen-year-old inside a thirty-year-old and I couldn’t begin to make sense of the tragedy that had befallen me. At some point between 2002 and 2003, my boyfriend began to look ill. He’d lost his job a year before when, shortly after coming out as HIV-positive to his boss, he’d been made redundant. The timing couldn’t have been any more blatant, but he didn’t want to fight. Perhaps he was out of fight. He’d been diagnosed during adolescence, in the late 1980s, so he had over a decade of fight behind him. I met Miguel in 2000 when he flirted with me at a nightclub. I was immediately entranced. Who wouldn’t have been? One night, in bed, he told me about his status. 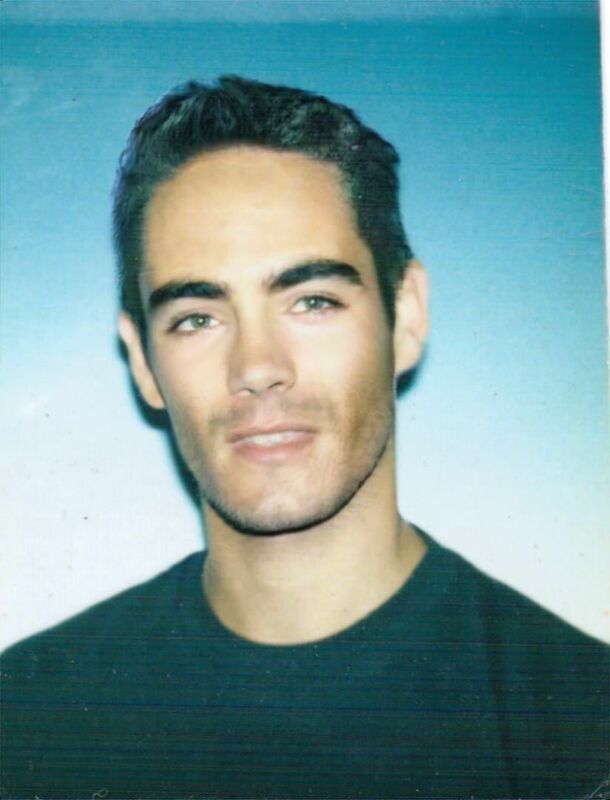 I was 25. It didn’t diminish my affections. I’d always been safety-only and I knew it worked. I was in love, captivated not only by his beauty and our detonative physical connection, but also by his sweetness. Of course, everyone is more complex than that, and there were layers of damage in both of us of which we were barely aware. Some were revealed as the relationship progressed but because our social life involved such revelry, most remained concealed. Miguel was a kind, thoughtful, astonishingly attractive man with a predilection for video games and TV that sometimes got out of control. I could hardly talk; a cult music obsessive heavily into escapism. He was ahead of me in many ways – five years older, completely out to his family, while I was still picking and choosing who was allowed to know I was gay. It’s Miguel’s compassionate counsel I have to thank for the fact that I eventually came out to everyone. By 2003, Miguel was losing weight because of chronic gastric complaints. Since his diagnosis, he’d taken occasional medication-vacations, forgoing combination therapy without supervision. Maybe he’d got away with it in the past and decided it was ok. But eventually it wasn’t ok. By 2004, he needed round-the-clock care. It was like watching a photograph develop in reverse – every day, there was less of him and what was left was weaker, thinner, more ashen. Two of his friends, perhaps better men than I, helped me look after him. We gave baths, changed nappies, cooked, rolled joints to stimulate his appetite, administered massages and dried tears. “What’s happening to me?”, he cried one day after I’d cleaned him following another accident. He looked about six stone. I didn’t know what to say. All I could muster was the feeble assurance, “I’m here. I’m here”. I was in denial, telling myself this was a bad patch and that he’d return to full health. A crueller death it would be hard to imagine. It took its time, stripping Miguel of individual dignities one by one, divesting him of independence at a languid and sadistic pace. Miguel had another good friend, a lovely woman he’d met volunteering at the Food Chain – a charity supporting HIV+ people with their dietary health. Miguel went from volunteer to service user. When he died on January 13th 2005, I broke down entirely. I became distant from friends. Employers, too, were tiring of my unreliable and perpetually distressed state. They needed me to stop being raw about it – impossible. I compiled a double-page spread of arts reviews for one of the glossy monthlies but was swiftly leg go. While I mourned, every employer let me go and I spent a decade rock-bottoming. The period following his death was wretched. I’ve never known such protracted grief, such bewildering aloneness. During stable periods, I volunteered at The Food Chain, trying to make sense of Miguel’s death. Knowing that the charity was one person down, I found meaning and some degree of peace by bringing that number up again. I was also trying to shake survivor guilt. I still am. I always will be. Find out more about The Food Chain here. Find out more about World AIDS Day here.